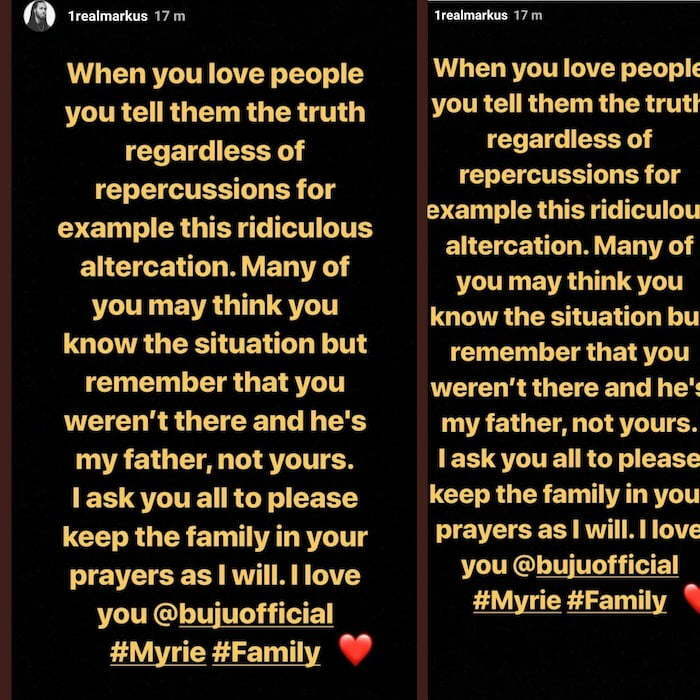 Markus Myrie has issued a new statement on his situation with his father, Buju Banton. 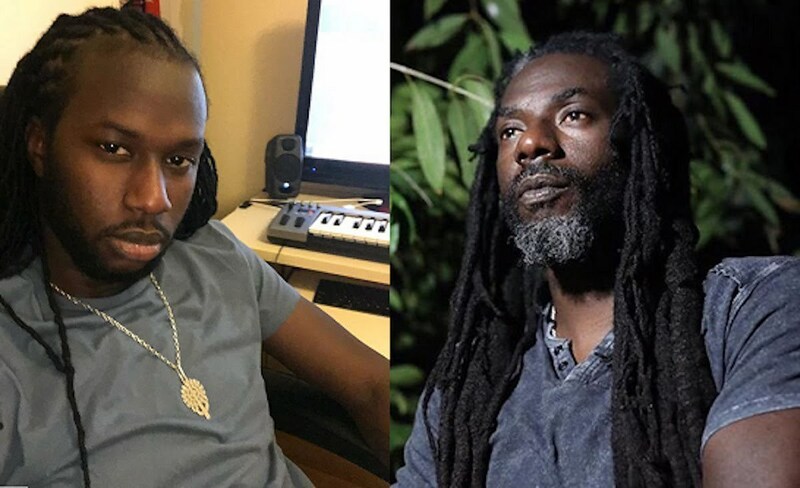 Mark Myrie, Buju Banton government name, and his son Markus Myrie have been dominating the headlines since last week Thursday when they had a small ruckus that spilled over online. 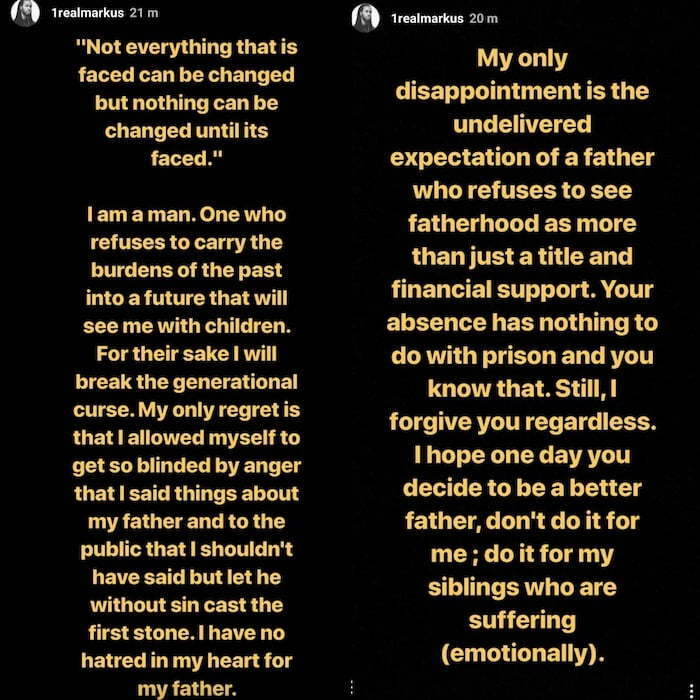 Urban Islandz broke the story last Thursday evening that the Gargamel and his son Markus had an altercation and the younger Myrie posted some highly disrespectful messages on his Instagram Story. In his new statement on the Gram, Markus expressed his regrets while tagging Buju and telling him he loves him. Markus Myrie also confirmed our reporting that he had a physical altercation with Buju Banton while withholding the details about what went down. On Monday, he posted a photo of himself and Buju which is the first sign that the two are mending their relationship.